The past few seasons have seen a discernible shift in the modelling paradigm towards a more level playing field with models of varying nationalities being afforded the opportunity to shine during Fashion Week. In a clear nod towards diversity, casting directors showcased a myriad of Brasilian, Russian, French, German, Dutch, Chinese, Korean, and African-American beauties, bringing a brilliant multi-hued effect to Fall/Winter 2014's runways. Dazed & Confused continues on this thread with an editorial featuring three distinctly individual standout newcomers. 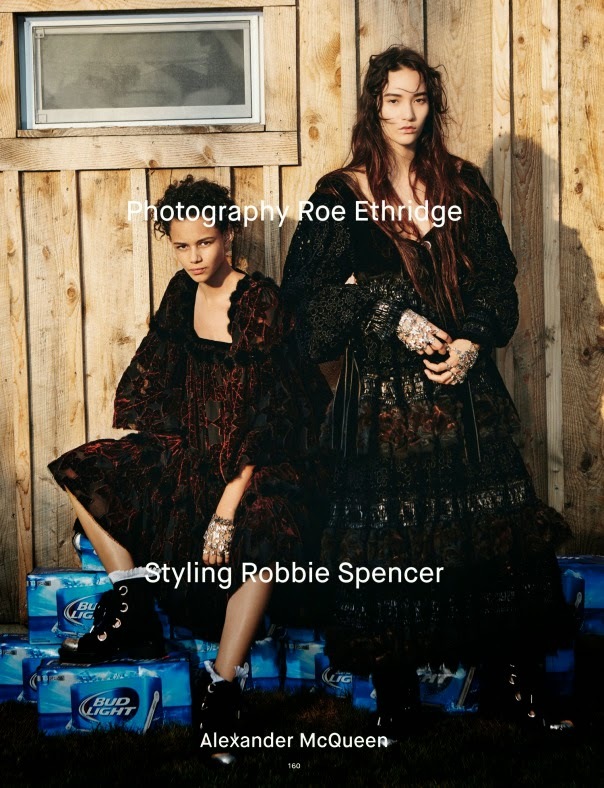 Runway renegade Binx Walton poses for photographer Roe Ethridge alongside Japanese-American Mona Matsuoka and flame-haired Arizona native Natalie Westling. The trio are the epitome of understated cool modelling the latest Fall/Winter 2014 looks by Miu Miu, Dior, Lanvin, and Proenza Schouler styled by Robbie Spencer. Eighteen year old Tennessee cutie Walton was a revelation at the Fall/Winter 2014 collections, displaying a stunning versatility throughout her 43 show bookings. Walton's inimitable blend of androgyny and blossoming beauty have landed her front centre in key editorials and Fall/Winter 2014 campaigns for Chanel, Balmain, and Maiyet. 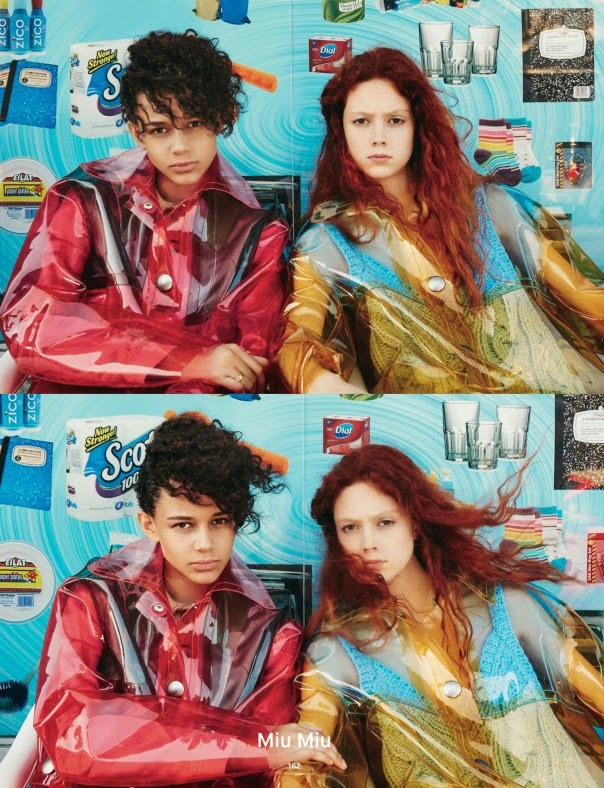 The Society NY is onto a winner with newcomer Natalie Westling who has quickly assumed a model as muse status to designers Marc Jacobs and Hedi Slimane appearing on the runway and fronting Spring/Summer 2014 campaigns for Marc Jacobs and Saint Laurent. Westling's cool skater vibes (she's been skating since the the age of three) and nonchalant beauty have been ubiquitous in Fall/Winter 2014 campaigns for Tom Ford, Céline, and McQ Alexander McQueen. IMG's Mona Matsuoka jolted show-goers out of their haze of Fashion Week exhaustion bringing an element of surprise to the Fall/Winter 2014 line-ups for Guy Laroche, Acne, Kenzo, Miu Miu, and Chanel. IMA has Matsuoka marked as a Spring/Summer 2015 Top 10 Contender following her appearances at Dior and Chanel at the Couture shows.